A Sparring Partner Talks: Deontay Wilder Hits Six Times Harder Than Anthony Joshua! It’s a tough job, but someone has to do it. A hired gun for sparring parter duties these days, former heavyweight prospect Richard Towers, all 6’8” of him, has, as the saying goes, sparred ’em all. Towers’ services have, over the years, been employed by both Klitschko brothers, by Tyson Fury (who Towers was once close to fighting for real), by Anthony Joshua and by Deontay Wilder. And when it comes to who hits hardest, Towers says one man stands head and shoulders above the rest of the heavyweight pack: Wilder. Speaking with British tabloid The Sun, Towers broke down Wilder’s frightening punching power and rated it against his potential rivals. Of course there is more to winning a fight than just punching power, but almost everyone agrees that, despite his flaws, the reigning WBC heavyweight king has lethal fight-ending power at his disposal – the kind of raw power than has gotten Wilder out of jail in a fight before and likely will do so again. 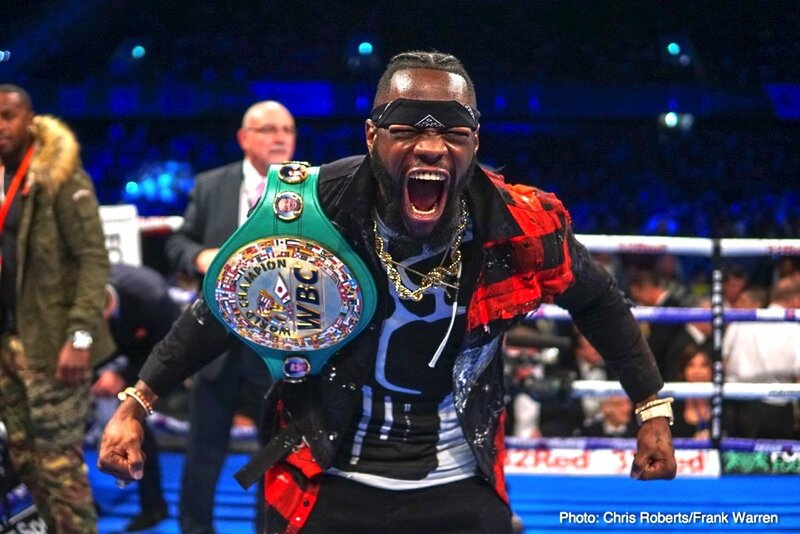 Recently, esteemed trainer Naazim Richardson said that Wilder “might be the hardest heavyweight puncher in history.” What we need now is for the rival champions to get in there and test their skill and power with Wilder’s skill and power. No easy task at all, in fact a task no man has yet managed and won. Towers, who says Wilder carries “a type of power I’ve never felt from any other heavyweight,” added how it is basically a matter of time before any man who faces Wilder gets hit – and hit hard. How impressed will fans be if Wilder manages to make the unbeaten Fury his 40th KO victim? You are here: Home / Boxing News / A Sparring Partner Talks: Deontay Wilder Hits Six Times Harder Than Anthony Joshua!